Hey, friends! Once again it is the time of year where we celebrate the humans who carried us in their wombs for the better part of a year, and then forcibly removed us. Or, the people who filled maternal roles in our lives. However, it wouldn't be a holiday if the lovely folks at LUSH didn't curate a collection of treats for us all to enjoy, and I happened to get my greedy mitts on a few of them. 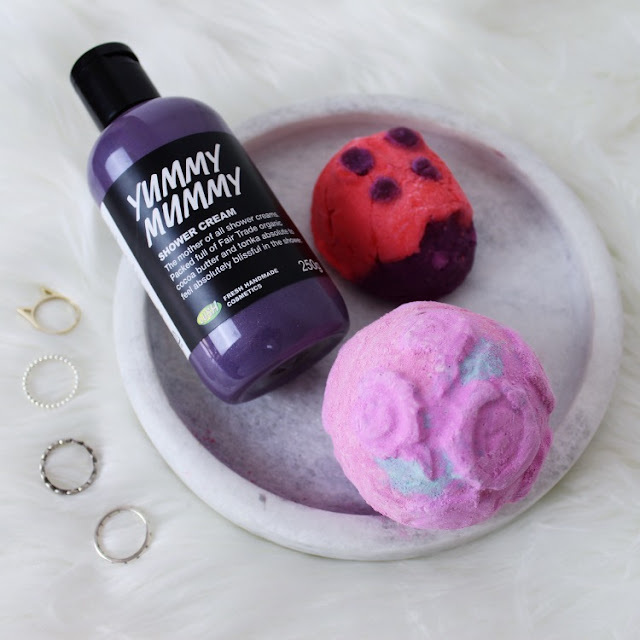 So, without further ado, here is the Lush Mother's Day edit! As a person who showers, shower creams are on of my favourite Lush products to splash my cash on. This bottle of gleaming purple goodness is giving Prince Charming - the Valentine's Day special that I have just run out of, sob - a run for its title of Most Favouritest and Best Shower Cream of Life Ever. According to the good folk at Lush, this little guy has notes of Brazilian orange and geranium oil, which explains why it feels like heavenly angels are blessing your nostrils with every sniff. Big fan, guys. Big fan. 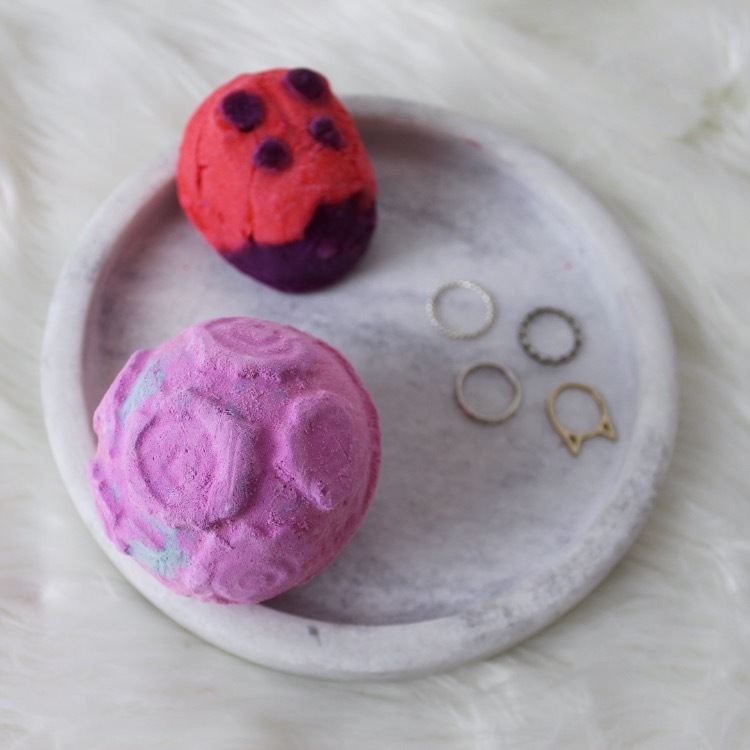 Mother or not, bath bombs are always a winner - which is why I've seen this beautiful ball of joy all over my Instagram feed of late. Admittedly, I'm not a lover of rose-scented items, and so I expected to be fairly indifferent to this. However, the Sicilian lemon in this bad boy cuts through the floral scent ever so delightfully, and I actually really enjoy it. Holy bath-time Batman, this stuff smells delicious. Imagine if flowers, peppermint, and Unicorn tears procreated - the result would be this sweet little thing. 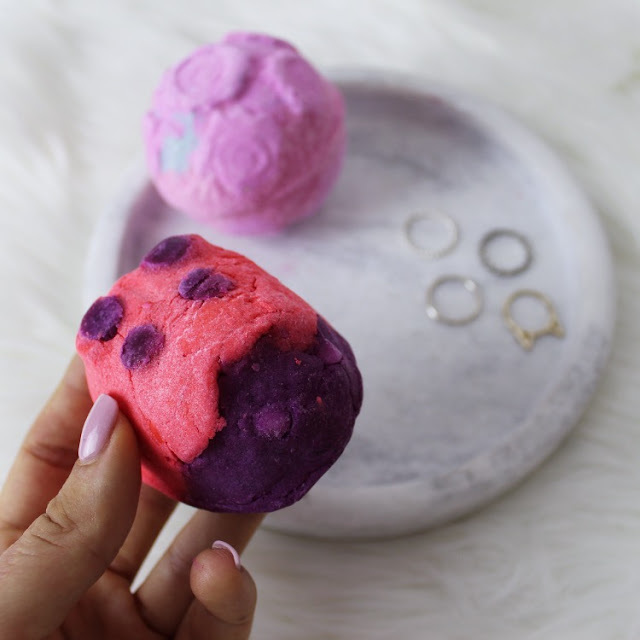 Bubble bars are particularly wonderful as they are multi-use items, just break off as much as you need, and wrap up the rest for later! What have you picked up for Mother's Day? Any Lush goodies?